Pirates are crafty fighters. Our LARP Bloody Meat Hook is covered in sinister red blood and is a brutal tool no matter the opponent. Get creative and grab an enemy with this sharp looking foam weapon and make them give up the gold. 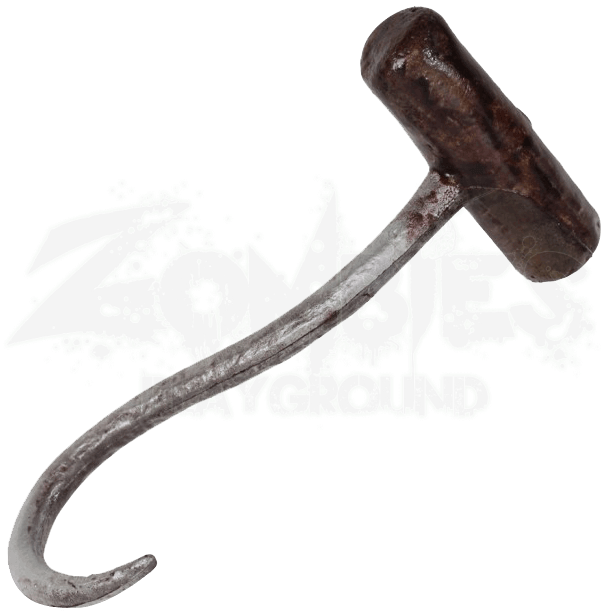 With a wood handle and a curved sharp hook beset with an array of blood splatter, this meat hook fits the bill for realistic detail. For a variety of different LARP characters, cosplay, and costumes, this meat hook is the focal point of any good pirates gear. Wherever your story takes you, out to sea or trapped fighting zombies, a good hook can up the ante and help everyone involved see clearly whos in charge and who isnt, and makes it easy to knab their purse of gold before theyve caught on.